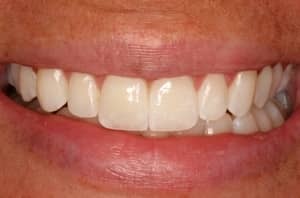 Porcelain veneers are thin slivers of high-quality porcelain that are bonded directly onto teeth in order to create a smile makeover. Veneers can correct a wide array of dental flaws, particularly staining and discolorations, uneven and misshapen teeth, and teeth that are too large or too small. For some patients, they can also serve as “instant orthodontics” and correct misalignments that would normally require years of wearing braces or other appliances. In the hands of a skilled cosmetic dentist, like Dr. Szarek, veneers can be crafted that perfectly match the subtle variations in color and translucency of natural teeth. Veneers are also very strong, harder than natural tooth enamel, and more resistant to staining. When properly placed and cared for, they will last many years. Proper placement requires both a high level of technical skill and an artistic sensibility. It’s important to choose a dentist that has special training and expertise in cosmetic dentistry. Many general dentists focus only on repairing problems with teeth and don’t take the time to consider the overall appearance of the patient’s smile or whether the results will fit with the patient’s personality and lifestyle. Dr. Szarek has extensive training in the crafting of veneers, including the effects color and light will have on the final appearance. He works exclusively with world-renowned ceramist Mike Bellerino to craft customized veneers of the highest quality. Application of the veneers usually requires an initial consultation plus several follow-up visits to our office. At the consultation, Dr. Szarek will discuss your goals for treatment, paying careful attention to how you want your smile to look, offer advice on how to proceed, and answer any questions. Then at the first visit, he will shave a small amount of enamel from the teeth (about the depth of a fingernail) to prepare them for the veneers. He will then make an impression of each tooth that will receive a veneer. These impressions, along with detailed color instructions and multiple photographs that will be taken, will be sent to the master ceramist who will craft the actual veneers in a lab. At subsequent visits, the new veneers will be placed on the teeth and checked for a natural appearance. If you and Dr. Szarek are both pleased with the appearance, the veneers are bonded onto the teeth. Dr. Szarek is accredited by the American Academy of Cosmetic Dentistry. He offers a beautiful smile guarantee for all of his complex cosmetic and restorative work. 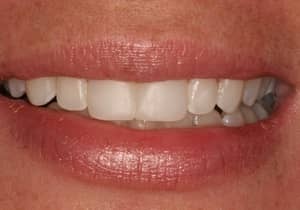 If you are not satisfied with the appearance of your smile makeover, he will continue to work with you and the master ceramist, if necesssary, to get just the right look before the veneers are bonded to your teeth.